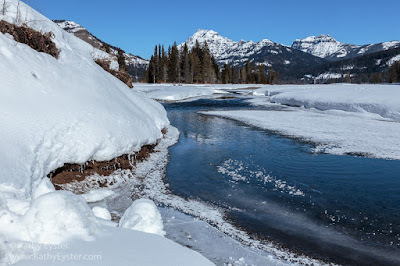 Many of my students have new digital cameras and want to shoot and process raw files from them. But these same students have older versions of Adobe Photoshop or Adobe Photoshop Elements. When they try to view their raw files with the Bridge or Organizer, they just get a placeholder icon instead of a picture. This means that the version of Adobe Camera Raw installed on their computer does not recognize the new camera raw files. One solution, of course, is to update Camera Raw (free from the Adobe web site). 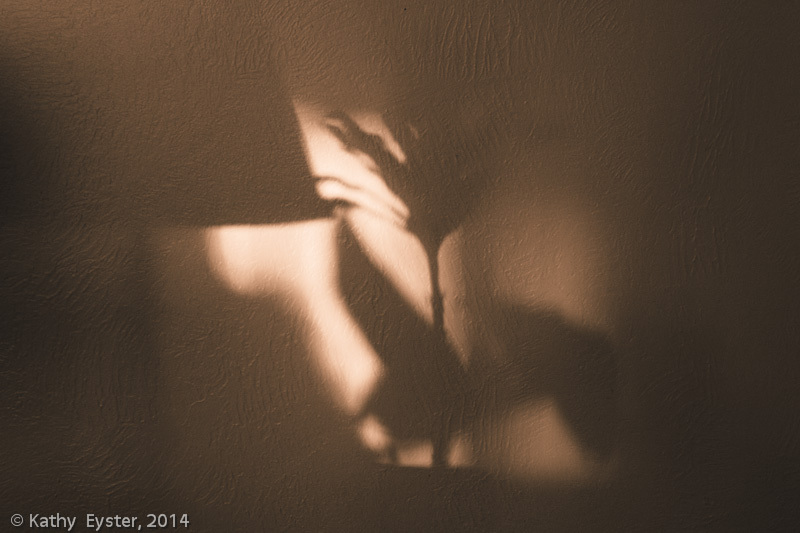 But often the new version of Camera Raw is not compatible with older versions of Photoshop or Elements. For example, the most recent version of Camera Raw is 6.3. This version only works with Photoshop CS5 or Elements 9. If you have an older version of either program, updating Camera Raw does not work for you. But there is another solution and it's Free! If you convert your raw files from the native camera raw format (e.g. CR2 for Canon, NEF for Nikon, etc.) 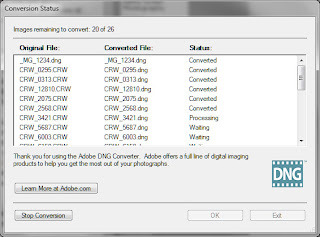 to Digital Negative format (DNG), any version of Adobe Camera Raw since 2.3 can display these files and allow you to process them with older Camera Raw versions. All you need is the Digital Negative Converter, available for free download from the Adobe web site. Be sure to click on the link that matches the type of computer you are using (Windows or Macintosh). After you download and install the software, start the application to convert your files. Here's a quick set of steps to follow. 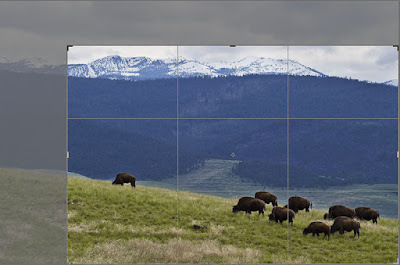 Select the folder of raw images you want to convert to DNG. If some of the raw images are in subfolders, check the box to include the subfolders. Choose where the new DNG files should be saved. 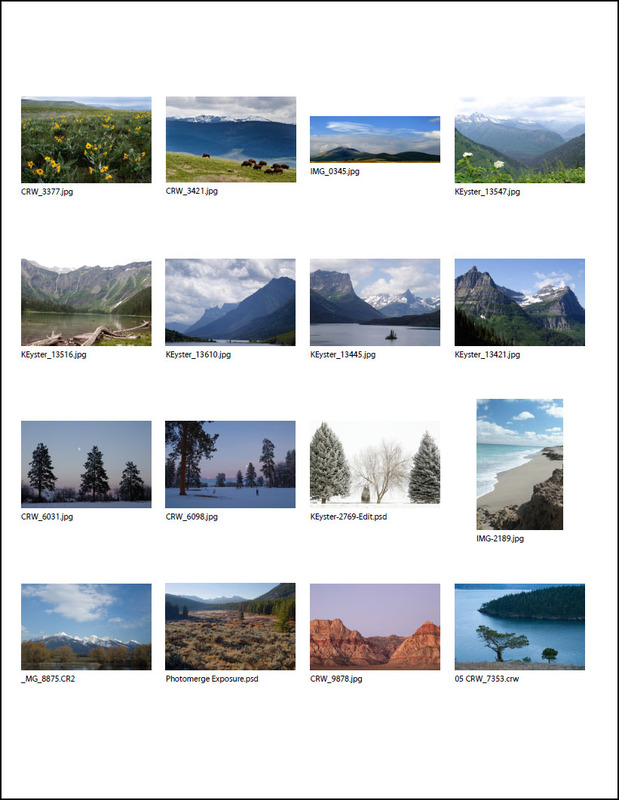 I recommend creating a DNG subfolder inside the original folder of raw images. So choose Save in New Location. Click on Select Folder and make a new DNG folder. If you checked the subfolders option in step one, also turn it on in this step. You can choose to give your converted files a different name than the originals, but this is optional. I suggest you leave the file naming as Document Name (which keeps the original name) and skip this step. Last you set the preferences for the new DNG raw file. Click on Change Preferences. If you know which version of Camera Raw your old software is using, select the version number that matches. If you don't know, just stay with the default choice of Version 5.4 and later. Leave the JPG Preview as Medium Size. Do not turn on Embed the original raw file unless you plan to use the camera manufacturer's software later to work on your images. Click OK to save your choices. 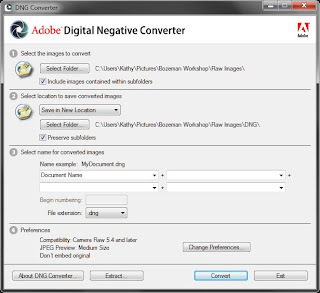 Double check all your choices in the Digital Negative Converter, then click the Convert button. 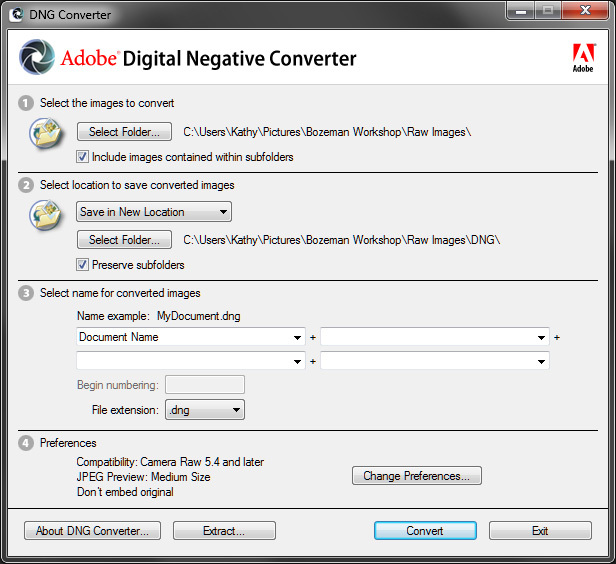 The DNG Converter starts processing your files automatically. After it is finished, click the OK button to return to the main setup window. 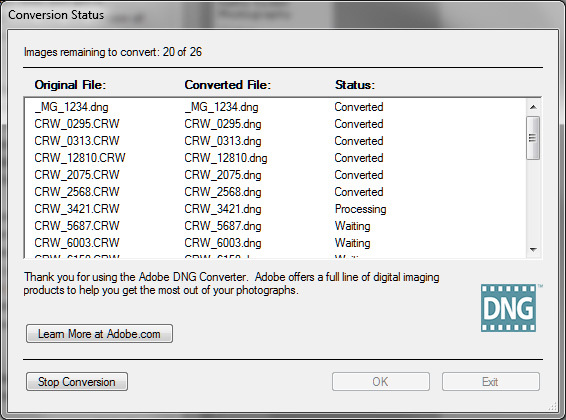 You can now choose another folder of raw images to convert to DNG. Or if you're finished, click Exit to quit the program. When the conversion is completed, open Adobe Bridge or the Elements Organizer and navigate to the new folder.Your raw images should now be visible and available to be edited with whatever version of Camera Raw you have installed. Your original raw files are not deleted in this process. Once you confirm that the DNG raw files work for your software, you can go back and erase the original raw files (CR2, NEF, etc.) if you want to save disk space. 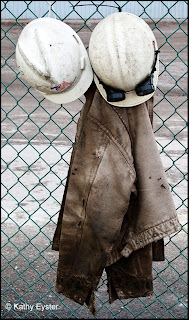 Adobe's Digital Negative Converter is not changing any of the content or appearance of your image. It is just changing the order in which the data is stored in the file to make it accessible. 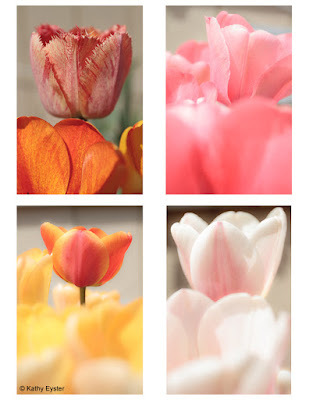 For more details about DNG files and their advantages, check out this video by Julieanne Kost.